Bajaj Pulsar is one of oldest models with different variants and engine capacities. Pulsar is manufactured by Bajaj Auto which is is one of the world's oldest and largest two where manufacturing in the world. One of the good things about Pulsar RS 200 is that it comes with next gen technology and has an edge over other bikes of the same segment. It was designed to thrill from every angle. This bike made keeping the Indian roads in mind. Pulsar 200 has telescopic with anti-friction bush in front, nitrox mono shock in the front and nitrox mono shock absorber with canister at the back. With 199.5cc Fuel Injection system, it produces power of 24.5@9750 rpm and maximum torque of 18.6 @ 8000 rpm. It comes with a 6 Speed Gearbox. With a fuel capacity of 13 liters and average mileage of 35kmph and gives a feeling of Contentment. Bajaj Pulsar RS 200 bike insurance can be renewed at any general insurance company offering bike insurance. It is although suggested that you go online and log on to Coverfox.com to check and compare various bike insurance plans offered by the bike insurance companies. You can select the plan which will be ideal for your Bajaj Pulsar RS 200. Purchasing bike policy online will also give you a better deal, saving you money on insurance. Long-term bike insurance plans are available for 2 and 3 years term. This will not only save you money and hassle of annual renewal but will keep you protected from any inflation during the period of coverage. Pulsar is one of the most successful bikes from Bajaj and Bajaj RS 200 proves it right. From engine to mileage, seems like it was made to fulfill the common man's sports bike fantasy. It proves a major must buy for people who are looking for a good sports model and mileage, this is the one for you. 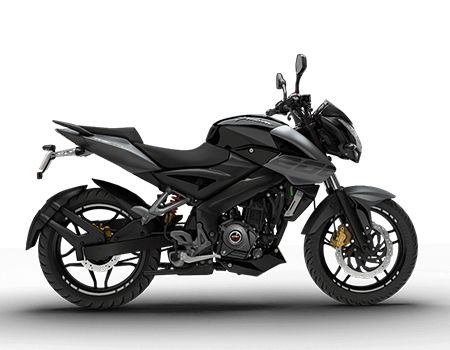 What are the features of Bajaj Pulsar RS 200? Bajaj Pulsar RS 200 coms with anti-friction bush in front, nitrox mono shock in the front and nitrox mono shock absorber with canister at the back. How to make a claim on your Bajaj Pulsar RS 200 bikes? You are just a call away to claim on your bike insurance with Coverfox. We have a specialized team who intimates claim on your behalf and keeps you posted with regards to the claim status. Coverfox claims team follows until claim settlement. You can also write us on help@covrfox.com for claim intimation. Why should you insure your Bajaj Pulsar RS 200 bike? Insuring your bike will cover risk in case of any accident. This cover takes care of the damages that will be caused by accident. Insurance will cover the owner driver and third party property damage. Also in case of theft, you could land in soup and have major losses if your bike is not insured. Hence one should insure bike which will give you a piece of mind in case of any mishap.